The Xiaomi Redmi 6A International Version mobile phone provides a high-end user experience. The Xiaomi Redmi mobile phone features a high-end rear camera with a resolution of 13MP that allows you to click great pictures in any background and light settings. Thanks to the 5MP front camera, you can also flaunt your beauty with lovely selfies. You can listen to your favorite music with perfect clarity due to the high-quality sound system. The 32GB internal storage is enough to accommodate all the apps and data. You can also insert a memory card in its dedicated slot so that you can expand the storage capacity and save all the superior quality media files as well. The Xiaomi Redmi smartphone features the Bluetooth 4.2 that enables speedy transferring of data to and from your phone. This smartphone has a 2GB RAM that allows the quick run of all apps. The Android 8.1 operating system ensures a hurdle-free functioning of the phone. You can enjoy faster browsing speeds and network access thanks to the 4G LTE connectivity of this dual SIM Xiaomi phone. With a single charge, the 3000mAh battery of the phone lasts for long hours so that you can use the device also while traveling. This mobile phone has an MTK6762M Quad-Core processor that ensures the smooth functioning. The 5.45inch display gives you a broader and clearer viewing experience. 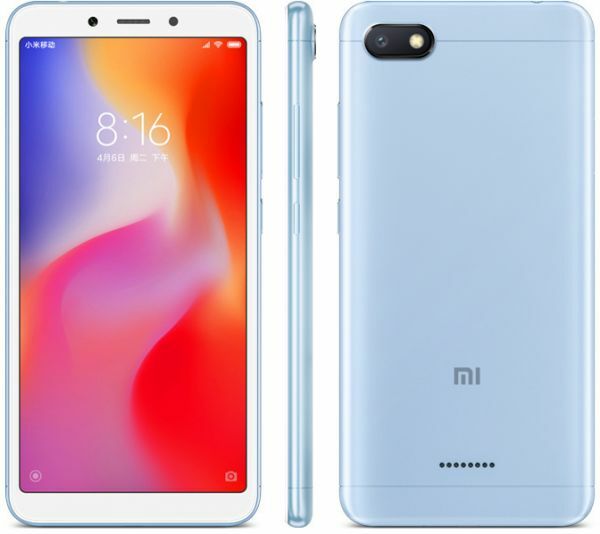 Moreover, the blue color gives this Xiaomi Redmi 6A mobile phone a sleek and trendy appearance.